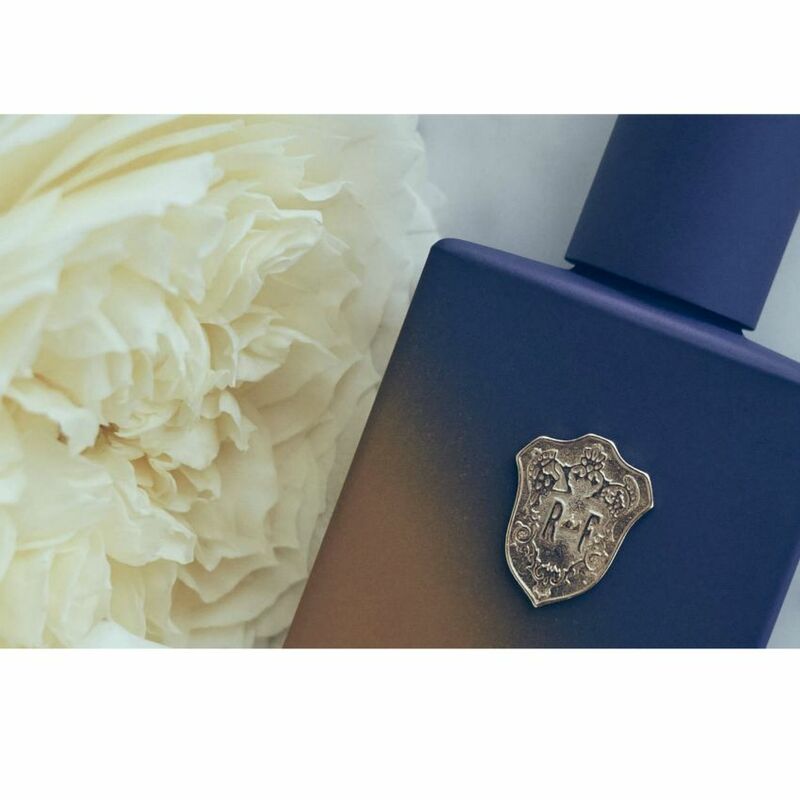 Regime des Fleurs perfumes are handcrafted in Los Angeles from rare, natural, and widely-sourced ingredients, but the perfumers behind the brand draw inspiration from distant places and times–from Classical mythology to the painter Henri Rousseau to 19th Century Gothic literature. The company was founded in L.A. by longtime friends Alia Raza and Ezra Woods in 2013. Their decision to start the project grew from their mutual appreciation of antiquated opulence. The sense of smell is known to be the strongest sense tied to memory, and Raza and Woods play with that fact by creating scents that feel at once familiar and new. 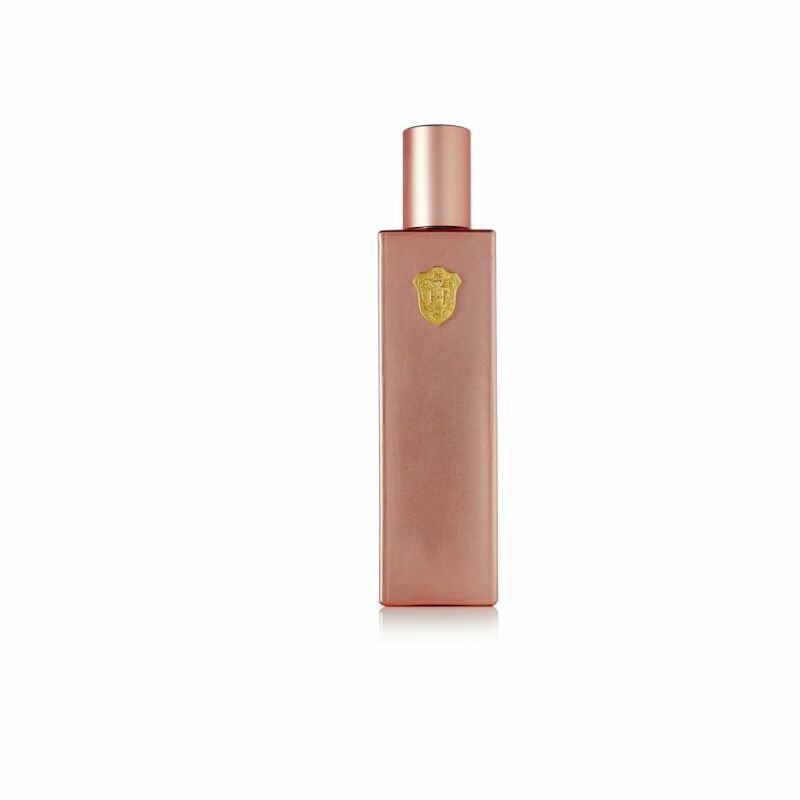 The description of the scent freeworld includes, “The sparkling fizz of freedom/ under an imperial sky,” and is meant to evoke collective memories of 20th century America–youth, optimism, soda pop, pop art, the 50s, and the 80s. Although the perfumes reference Raza and Woods’ visual and literary inspirations, they’re not so heady that they can’t be worn every day. The Regime des Fleurs bottles, which are designed by Raza and Woods, are objets d’art on their own. The painted bottles and caps are opaque, and come in dense shades of coral, copper, light turquoise, and aluminum. Each bottle is marked with a golden seal, a crest that’s stamped with the initials R and F. I keep my bottle of turquoise on my kitchen table, in a grouping of candles and flowers. Regime des Fleurs’ perfumes are organized into three sets: the Lyrics, the Ballads, and the Epics. The Epics are the most complex perfumes of the tiers, including a perfume comprised of 80 ingredients (other naturally sourced perfumes tend to contain around 30 ingredients). The delicacy of each perfume isn’t compromised by its complexity. The scents unfold and change ever so slightly on skin throughout the day, but their compositions maintain their balance. Each perfume can be worn alone or layered. Are the colors of the bottles meant to echo the scents that they hold? 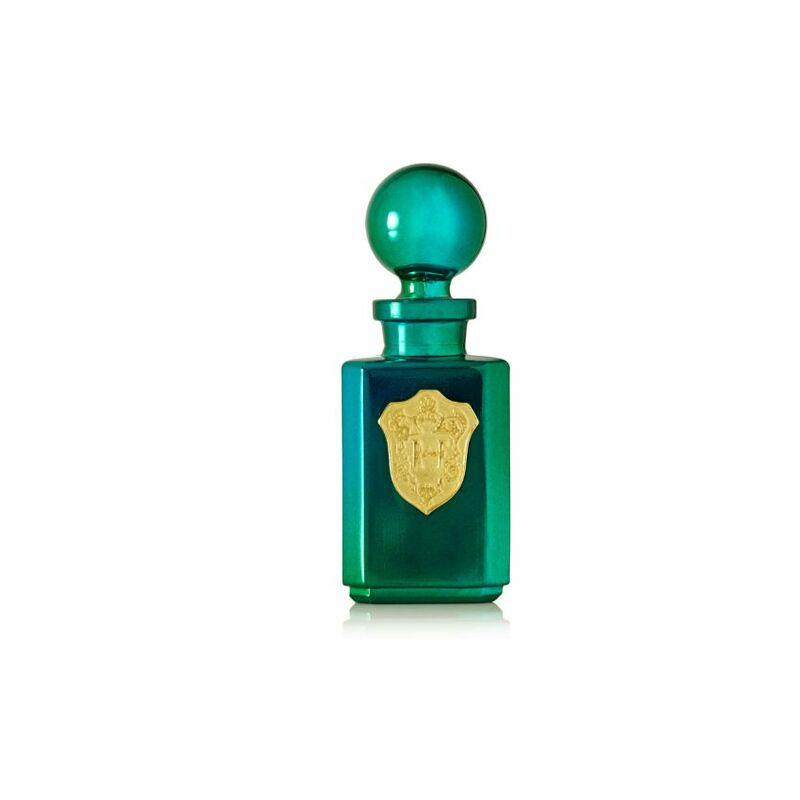 Alia Raza: Each bottle’s color or colors are specific to that fragrance. In some cases, the translation is literal. Our scent nitesurf is about neon orange blossoms and day-glo surfers, so it comes in a fluorescent orange bottle. Other times it’s more of a feeling or mood. The water/wood bottle is inspired by a painting by our friend Friedrich Kunath. [The painting] has a forest-y, watery feel. Ezra Woods: The bottles are meant to work with the scents held within them, so that the overall impression of the product becomes greater than the sum of its parts. Nitesurf references “the hot dry Santa Ana winds” and a moonlit Venice Beach. How does living and working in L.A. affect your creative process? Raza: I first came to L.A. from New York 10 years ago, and I was really taken with all the flowers and plants everywhere. Your barely see trees or flowers in New York, so coming here and suddenly being surrounded by orange blossoms and gardenias and honeysuckle and star jasmine was really moving! It’s definitely one of the reasons I live here now. Woods: California is a very majestic, intense place. I find it to be endlessly inspiring. You both have backgrounds in visual fields, so you’re not typical perfumers. Regime des Fleurs perfumes are atypical in that they reference sculptures, poetry, and history. Are the scents intended to be worn by people that are especially drawn to the concepts behind the scents? Raza: The scents are intended for anyone who enjoys the way that the perfumes smell. [Ezra and I] share a lot of references, interests, and obsessions. We take what we do very seriously, and we want to create experiences that are layered, deep, and evocative not of anything literal but of things that haven’t been seen or done. Or smelled. It’s about creating an entire world within each bottle. Woods: Our stories and concepts might draw people in, but I hope that ultimately our perfumes enhance and deepen the experiences [that people have while wearing the scents]. How do you go about translating a specific historical, visual reference (i.e. a Paul Gaugin painting) into scent form? Raza: We do everything we can, from making moodboards to watching specific movies and listening to certain music to put us into a particular space. We’ll talk about [the concept], nonstop, for days or weeks. I’ll say, ‘If we’re going to make this tropical jungle floral scent, we have to read excerpts from Wide Sargasso Sea, because the whole book is so feverish and humid it’s like the smell of gardenias,” and then Ezra might say, “You know what that reminds me of?” and he’ll tell me about a couture collection from 40 years ago. And these images or discussions or movies or books remind us of certain ingredients and smells. And then we start creating a formula. Each scent gets adjusted many, many times. Raza: I like things that are romantic and moody but also clean. I don’t have a favorite, but I love Christian Schad, Elizabeth Vigee LeBrun, Agnes Martin, and John Singer Sargeant. Woods: I love very large Rothko paintings that make you feel like you are staring into the abyss. I get the same feeling from looking at those paintings that I get when I when I’m at very high places. You even have a scent, mirror, that’s intended to evoke a reflection of a scent. How did you go about achieving this? Raza: We worked hard on that scent to make sure that none of the notes stuck out. Nothing [within the scent is] easily identified. People have a lot of trouble describing mirror. They have really disparate impressions of it, and we love that. What’s next for Regime des Fleurs? Raza: Oh, so much! But immediately next? Home fragrance! Woods: Candles. More perfumes. Exciting collaborations. 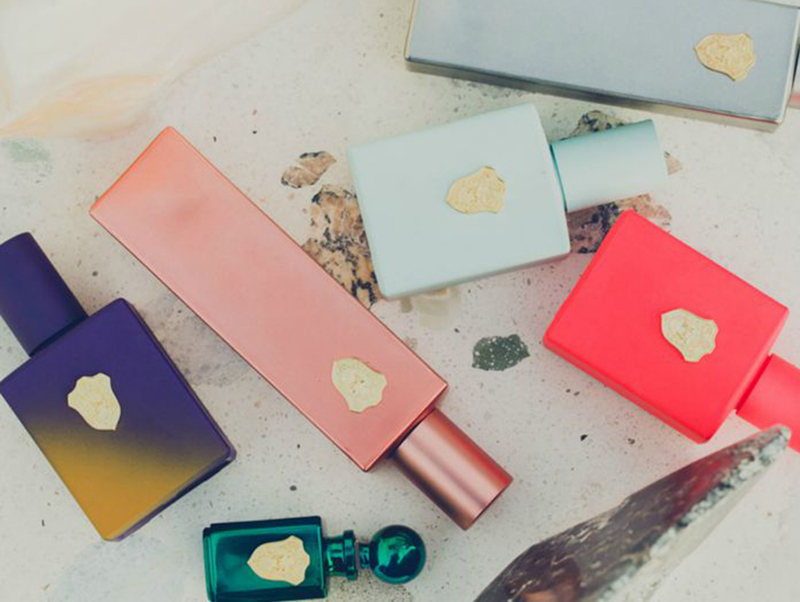 The scents are available from $165 to $425 on the Regime des Fleurs website, and locally at Maxfield (West Hollywood), Mohawk General Store, Scent Bar, Sleepy Jones (Santa Monica), and Kelly Wearstler.